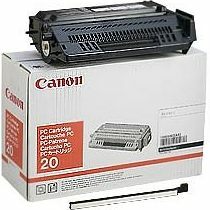 Genuine OEM Canon Toner Cartridge, Black, 2,000 page yield. Canon part number: 1486A002AA. Laser Toner Cartridge compatible with Canon PC10, PC14, PC20, PC24, PC25.